Technical, Fundamental Market Drivers And Lessons For The Coming Week And Beyond From The US, Europe, China, & Japan-Lessons For Traders & Investors in Stocks, Forex, Commodities, and Other Global Markets – And Guess Which Energy Producers Got A Big Boost From Japan? As we covered here, most leading global stock indexes (and thus risk appetite) have recovered their uptrends and their upward momentum, and are back at or near multi-year or all-time highs. That means our bias is to assume flat to higher movement until the markets tell us otherwise. Here are the primary lessons we learned last week for the coming week and beyond about current and potential future market drivers that we all need to watch. She admits that if recent deterioration in data persists, she’d consider slowing the pace of the taper. She did not appear to dismiss this weakness as a temporary weather related aberration. Her comment that “the unemployment rate is not a sufficient statistic for the state of the labor market. There is no hard and fast rule about what unemployment rate constitutes full employment,” confirms our suspicion that the Fed will either downgrade or dump the unemployment rate as a key determinant of when it’s time to tighten. Given the above, this week’s packed calendar, particularly the Friday jobs reports and earlier reports that hint at the outcome (the jobs component of the ISM services PMI, ADP non-farms payrolls change, etc.) and other top tier US data points (which we covered here) could raise the odds of a taper pause or slowdown if the weakness continues. How do we define that weakness? For the Friday’s big NFP report, if we get something similar or worse than last month’s 113k result, that should be enough to raise speculation about a slowing of the taper. That’s good for stocks, bad for the USD. The forecast for the NFP report is 155k. Revisions to the prior month’s NFP and unemployment rate could also be influential. Last week we looked at how much of the recent weakness in US data was really due to harsh winter weather, and cited a report from Goldman Sachs that argued weather was only a bit more than half of the cause of recent months’ deterioration in US data. So what were the other causes? The expiration of tax credits for capital spending (allowed 50% of capex to be written off against income dollar for dollar) may have had a greater than anticipated impact and may have pulled more capex spending forward into 2013. Expiration of extended unemployment benefits, which pressured incomes and spending. Economists are still examining the impact of the expirations of the tax credits and extended jobless benefits. Friday’s slight increase in EU CPI sent the EUR higher and pressured European stocks a bit, as markets assumed this relieved the ECB of any pressure to introduce new stimulus (EUR-dilutive) soon. Although the ECB has so far been sanguine, as we wrote in our January 4th article, Coming 2014 Explosion: EU Money Supply or EU Itself?, some kind of official money printing/QE program is just a matter of time. Unofficially it has begun in small steps via periodic failures to sterilize ECB purchases of GIIPS bonds since December. Don’t believe me? BNP Paribas bank joined me this week, saying that new stimulus measures are in the pipeline. Asset purchases are increasingly necessary in order for the ECB to meet its primary objective of maintaining price stability. Inflation in the euro area has persistently surprised to the downside, eroding the safety margin against deflation.  Additional conventional policy easing will not deliver sufficient monetary accommodation for the price stability mandate to be met. Thus, the ECB will reluctantly have to follow other central banks into balance sheet expansion via asset purchases. Annual EZ inflation is 0.7%, far below the ECB’s 2% target over the medium term and believed likely to remain very low for the foreseeable future, with some economists seeing further CPI– Goldman Sachs predicts just 0.4% for March. BNP Paribas predicts unsterilized ECB sovereign and corporate bond purchases of €300 to €500 billion in its first stage, QE-EU #1 and that it will start in H2 of this year. Possible legal challenges similar to Germany’s objections to the OMT program, though the bank believes in the end the EU will adapt laws to suit the circumstances. It may well be too little too late, given that most of the EZ’s weaker economies are already buckling under the burdens of high debts, austerity programs, high unemployment and thus weak spending and growth. Regarding point #3, we have trouble believing it. We note that yields have already fallen to 3.54% for Spanish and Italian 10-notes. That’s just 87 basis points more than yields on 10-year US Treasury notes. If these yields are due to fall more than 60-80 bps, they’d be yielding virtually the same or LESS than their far less risky US counterparts. BNP Paribas is still among the first of the major banks to predict the ECB fires up the printing presses. Maybe I’ve got some readers there? Note that despite the threat of coming ECB stimulus to the EUR, we have repeatedly warned traders of any EUR currency pairs to avoid shorting the EUR (or anything else, ever) until we get some actual technical confirmation of a downtrend. Meanwhile, on Friday euro-zone inflation in February was higher than analysts’ forecasts, thus cutting back expectations for further easing by the European Central Bank, at least not for next week’s monthly ECB rate statement and press conference. With that in mind, traders sent the EUR moved higher on the news Friday morning. Chinese official PMI hit an eight-month low February, dropping to 50.2 from the prior month’s 50.5, though modestly better than the expected 50.1. On March 2, we get HSBC PMI which has already fallen into a contractionary phase, with a flash reading earlier this month of 48.3. The HSBC reading focuses on small and medium enterprises (SMEs) that are mostly privately owned, while the official figure emphasizes reports from larger companies that mostly state-owned. This fits with the picture of a “soft landing” slowdown. Why Is China’s Economy Slowing? Chinese GDP growth reached its lowest level since 1999 last year. Part of the slowdown is intentional driven by Beijing’s efforts to rebalance the economy away from exports and investment-led growth to domestic demand driven growth. The Chinese have a good reason to move away from their dependence on low value added exports that depend on cheap wages and a cheap currency, because both wages and the Yuan have been rising. Rising wages are part of the government’s effort to boost domestic consumption’s share of GDP. The downside of this is that Chinese labor is now much more expensive compared to that of Indonesia, Vietnam, Cambodia and Laos. 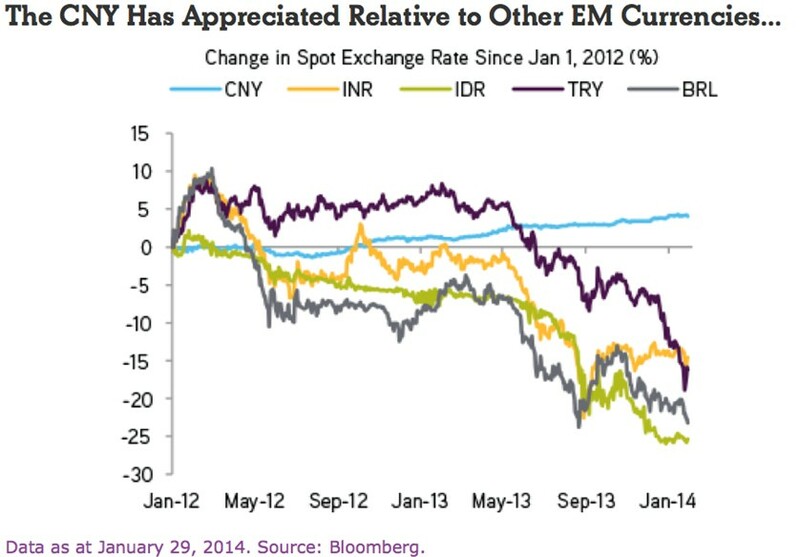 China’s cost advantage has also been hurt by its CNY’s appreciation. 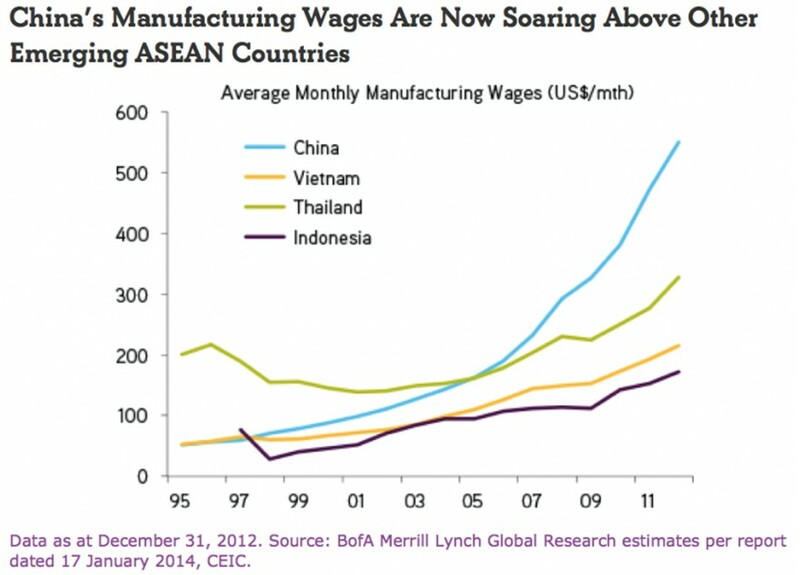 If China wants more domestic consumption it can’t avoid higher wages. It can, however, attempt to reduce the inconvenient appreciation of the CNY versus its competitors and challenge the speculators who help drive the Yuan higher. This brings us to our next topic of the week. For the Past 12 months, the Yuan (CNY) had been slowly appreciating against the U.S. dollar, driving the USD/CNY rate to a record low in January. 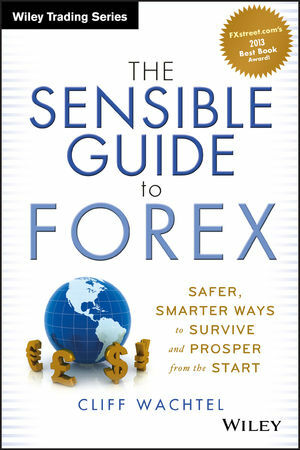 However over the past week the currency pair shot up to its strongest level since early November. Many want to attribute the move to the broader economic slowdown in China, but there has been evidence of slowing growth for the past few months, while the currency only started to dive during the week beginning February 17th. The rapidity of this depreciation versus the USD suggests that the PBOC is behind the move, and appears to be shifting away from its prior policy of Yuan appreciation. Given China’s economic slowdown in recent months as it attempts to slowly let the air out of a credit inflated bubble by reducing credit availability and liquidity, the PBOC’s motivation seems to be to provide a counterbalancing bit of stimulus that comes from a cheaper currency. A cheaper CNY supports for the export sector and in turn the overall economy and thus ensure that the intentionally induced slowdown is at least gradual. The rapid drop in the CNY indicates that the PBOC wants to shake out the carry traders who have helped push the CNY higher. There are a few obvious implications for the broader global markets. A cheaper Yuan hurts other Asian exporters, and may thus pressure other Asian currencies lower. It also puts pressure on Chinese demand for imports, which is negative for almost everyone, given that China is a prime export customer for most other nations. Most important of all, if the CNY keeps dropping, a lot of very large leveraged bets on the CNY’s continued ascent will go sour. Many of these are held by Chinese companies that are already questionable credit risks. Thus a falling CNY may exacerbate China’s spiking bad loan rate. Not surprisingly, uranium stocks such as Cameco Corporation (CCJ) popped higher Tuesday and continued to move up throughout the week.